WotsDis Travel Guide Istanbul is the app you need if you are traveling to the beautiful City of Istanbul and you want to know where you are, where to find interesting places, or what is that wonderful building in front of you, but don't want to expend a lot of money in data roaming. Includes all the information from the City and a wide metropolitan area arround. You will have in your hands the maps and points of interest, and all the articles of Istanbul, as well as the routing information. You will not need to establish an expensive data conection to know where you are, where you can find a restaurant, or what is that fantastic monument just in front of you. Further more, if you don’t have 3G or 4G coverage, it doesn’t matter, you have all the information with you. You will not even have to read it, just can keep enjoying your time while WotsDis audioguide gives all the interesting details. We are working in new WotsDis maps. 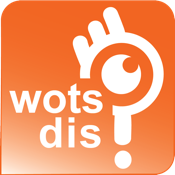 You will find all the details in our website www.wotsdis.com. The aplication is optimized for iPhone 5 and iPad 2 or higher.